On my recent trip to New York, I was able to go to the Times Square Toys R Us. Although the LEGO section wasn’t quite as big as I’d hoped — I’m spoiled though, by living so near LEGOLAND California — it was still pretty neat to see. 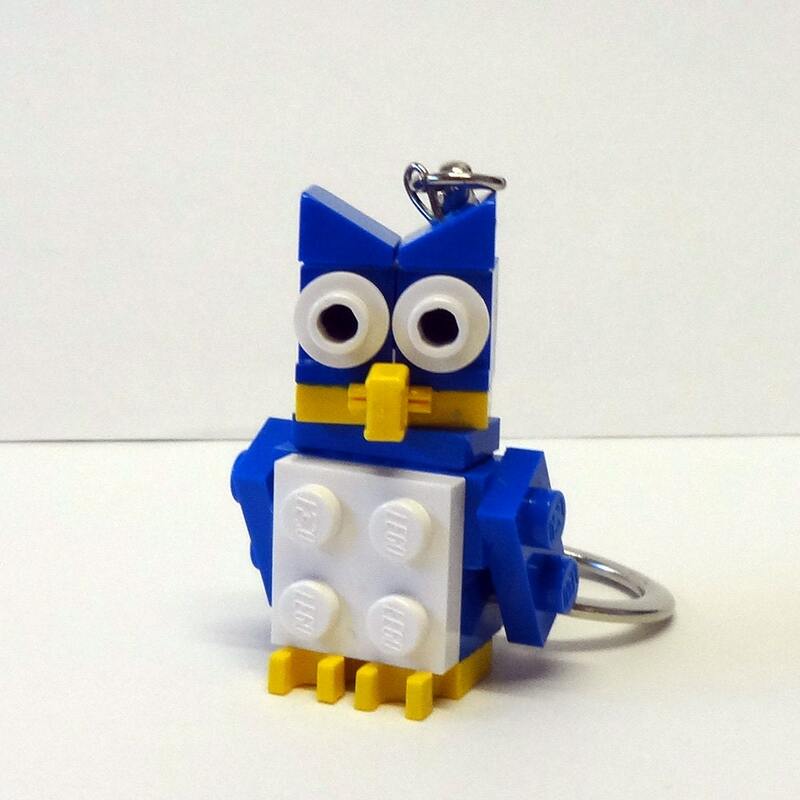 Although its not made of LEGO, it is really cool! 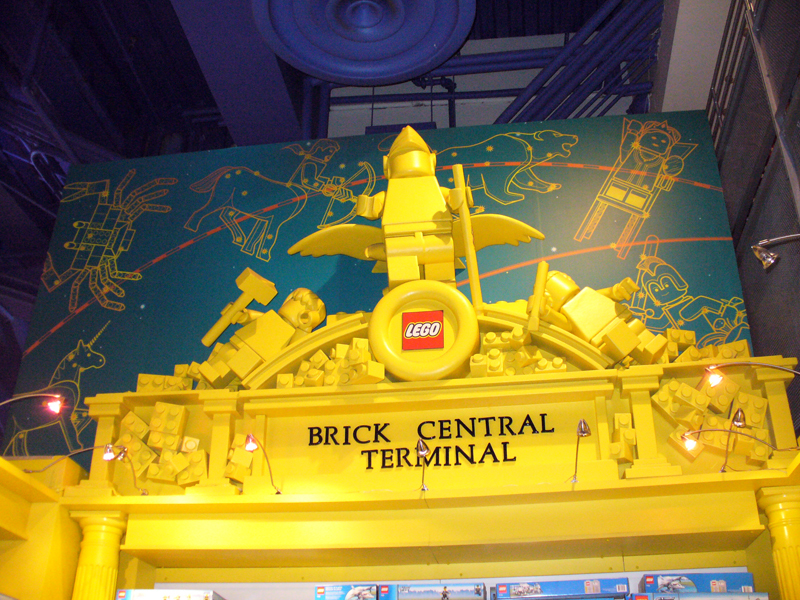 I was surprised (but not too suprised) to see that the Empire State Building, Chrysler Building, and the Statue of Liberty are copies of the models that we have at LEGOLAND California. LEGO actually does this quite a lot, copying one model multiple times. Being a Master Model Designer, I totally understand why this is done, since once a model is designed, why reinvent the wheel so to speak? They actually did that a few years back when LEGO first acquired the Star Wars license. One Model Shop had designed a Darth Vader that was standing with his hands on his hips and one had designed a Darth Vader holding a light saber. Because the Model Shops had not contacted each other, one Darth Vader (the hands on hips model) was actually at least a foot shorter than the other Darth Vader. I know its not LEGO, but it is a great image. 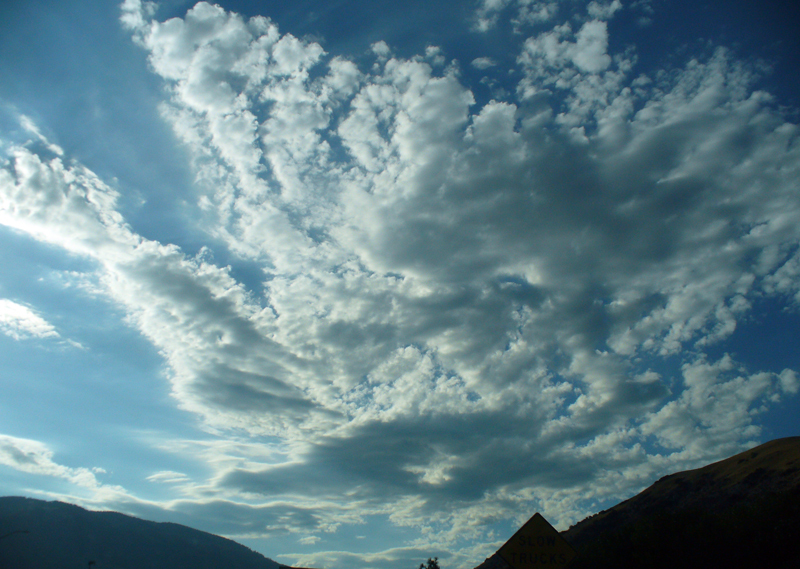 Here’s a shot I took from my car (I wasn’t driving at the time). Just 900 miles to BrickCon! Hi all. Sorry I’ve not been quite as faithful in my writings lately. But I do have a good excuse. Now that the “big project” is over I can show you all what I was working on. This is my LEGO Batman Mosaic. It took me about two weeks to make. It is two feet by two feet in size and it has 14 different colors in it. The bats in the background and on Batman’s chest as well as the belt and logo on Robin’s chest were made by my brother Michael Asanuma. He is a graphic and special effects artist up in LA. I made it for Warner Brothers Interactive and built it on-site during the Launch Party for the LEGO Batman the Video Game that was held at the Natural History Museum in New York on Sep 23rd. I also made the LEGO Batman the Video Game logo. This mosaic is three feet long and about a foot tall. Its not LEGO, but it sure looks like it! I’ll try and be better at posting, but I am also going to go on a road trip up to BrickCon starting tomorrow. By the way, for all of those going, you will be able to see both Batman Mosaics on display at the convention. Hi all, as I said, I’ve been really busy working on a project. I’ll post images of the project, and the event later, but for now I’ll give you a teaser. You can check out the full details of the event by clicking on the image. Its my first time to New York and I really like this city. I got to my hotel in the early evening, so I had time to do some sightseeing. Not only did I visit Time Square (not as big as it looks) but I also went to the Empire State Building and Grand Central Station. 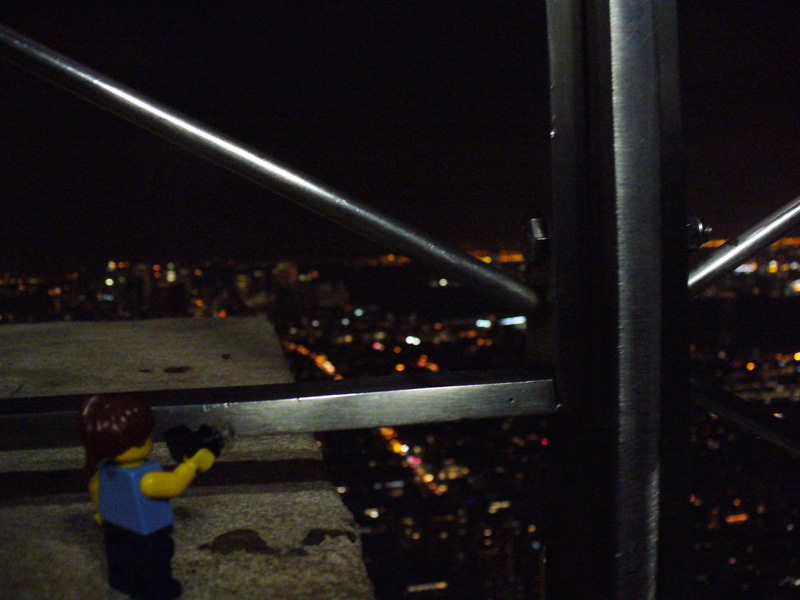 I also tried something I’ve never done on my trips, I took my Minifig avatar along with me and took pictures of it at different locations. I was inspired by the Flickr group Legos in real life. The view from up here is really great! So, who’s ready for the next LEGO video game? I was able to try a small sampling of the game at the most recent San Diego Comic Con and from what I saw, this is going to be a great game. There are so many new and interesting features like different outfits for Robin to wear, one of them allows him to walk up magnetic walls. Although I can’t give a true review of the game until I play it for more than five minutes, I am super excited about it. This little gem was the give away you would get by playing the game at three different booths at the Comic Con. 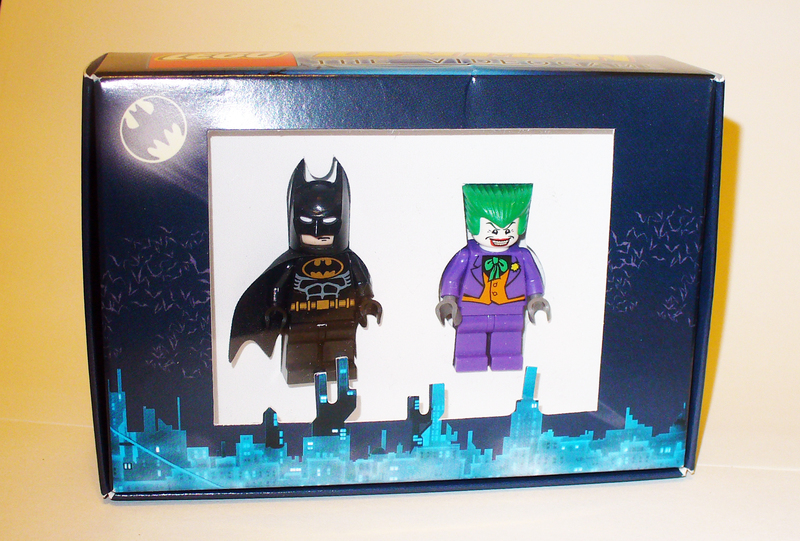 At each booth (Warner Brothers, LEGO, and DC) you would get a section of the Joker minifigure (head, torso, legs) then you would go back to Warner Brothers and get Batman and a cool little box to put them in. Big project in the works. Hi everyone. I know I haven’t been as consistent with writing lately. And for that I apologize. I’ve been super, super busy working on a project for a big client. I won’t go into details here, at least until the event has happened. But what I will say is that I am making a LEGO mosaic, one of the largest that I’ve ever done and certainly the most complicated. I’ll also add that it is for a certain video game that is coming out next week. I know, pretty vague. But trust me, its really really cool. To give you a taste of what I’ve already done in LEGO mosaic other than the LEGO logo I just did. Here is a pic of my Carlsbad Flower Fields Logo that I did a few years back at LEGOLAND California. The mosaic I’m currently working on, I’ve been burning a lot of midnight and early hours oil just to get it done on time. As soon as the event is finished I’ll post all about the mosaic. You’ll have to wait a bit, but trust me, its totally worth it. The Caped Crusader has hit the Happy Meal! 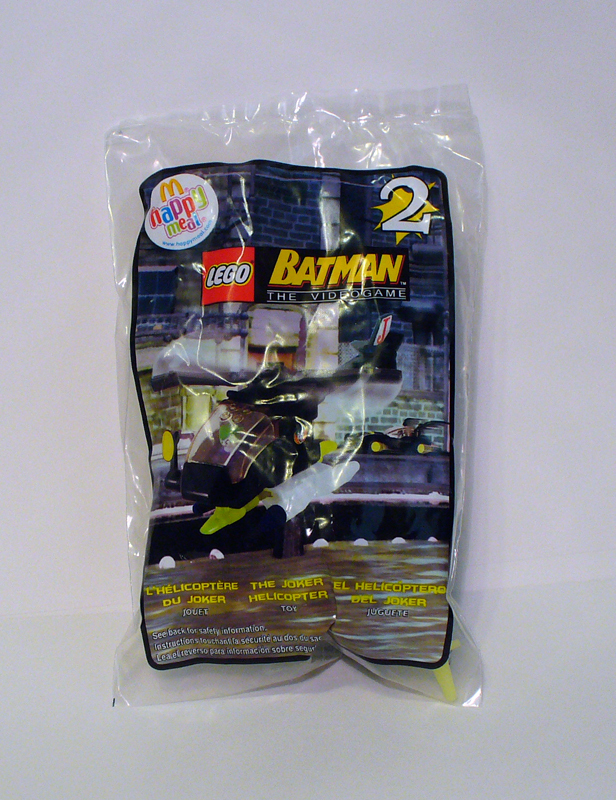 McDonald’s has eight LEGO Happy Meal toys for the upcoming Batman Video game. They are not actual LEGO bricks, but they are pretty neat. The “Minifigures” are more like the Gentle Giant LEGO Star Wars figures. And they also have four vehicles with mini characters driving them. I would have prefered actual LEGO. But at the same time I plan on getting at least some of them. So, here’s my tip. On several of the Modular Houses sets like the Cafe Corner and Green Grocer LEGO put a layer of tiles to indicate sidewalks, etc. This is all well and good, if you don’t ever have to take to tiles off, but if you do want to actually use your LEGO pieces and baseplates for something else down the line, taking the tiles off can be a real pain in the neck! When I got my Cafe Corner, I dutifully copied the design, placing the tile directly on to the baseplate. But with the Green Grocer, I got smarter. Instead of following the directions, I first put a layer of two-stud wide plates down. On the edges, and anywhere it would be seen I used green and anywhere else I used whatever color of plate I happened to grab (I sort my larger 2-wide plates by shape only). Now, if you are using this for a train or town layout and want it to actually attach with other builder’s buildings, this might not work for you (unless they also follow my tip) 🙂 But if it is a stand-alone model this works great, especially when you take the model apart. You can just peel the plates off and then get the tiles off the plates. Here’s a little Micro model that I made of a school bus. I was actually trying to make it with wheels, but every technique I tried I didn’t like. I know there is probably a way to do it, but even Master Model Builders get stumped sometimes. That is one of the great things about working in the Model Shop. If you can’t think of a solution someone else probably can. And, although I hadn’t planned to, here is a Model Building Tip: ask for others opinions, tips, or help. They might see what you are doing in a whole new way and give you an idea that you might have never come up with. Ask your friends near you, or those you have around the world on the web, what they think of the model and how it could be made better. This is one of my newest creations. A LEGO LEGO logo. Now of course, its been done before, but as I said, very few people build by twisting the bricks sideways. I should also mention that this is completely uncheated. I didn’t cut or alter the bricks in anyway. I just twisted them. Turning LEGO bricks and plates sideways is nothing new, that is what S.N.O.T. (studs not on top) is after all. But I always like to take it that much further. On my Flickr account you can see the layout I drew before I started building. That is my tip, draw out what you are going to do. That way you have a plan to go off of. You may not follow the plan exactly, I found myself changing a plate here and there, but at least it is a jumping off point. And, as a bonus tip: four plates and one tile (two studs wide) makes a square. That is how you can twist bricks and turn them sideways. And then to attach them to the rest of the model, you just use a technic brick and a half pin.